(From Wikipedia, the free enctclopedia). 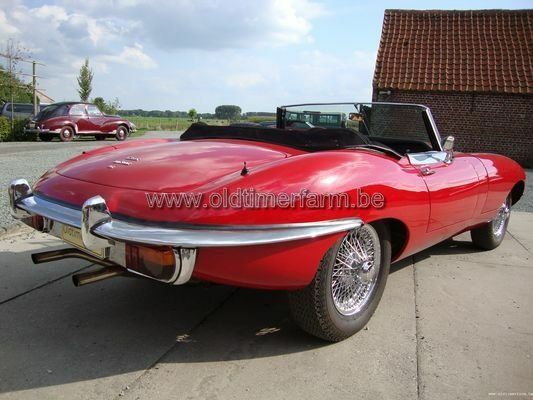 The E-Type was initially designed and shown to the public as a grand tourer in two-seater coupé form (FHC or Fixed Head Coupé) and as convertible (OTS or Open Two Seater). The 2+2 version with a lengthened wheelbase was released several years later. On its release Enzo Ferrari called it "The most beautiful car ever made". The model was made in three distinct versions which are now generally referred to as "Series 1", "Series 2" and "Series 3". A transitional series between Series 1 and Series 2 is known unofficially as "Series 1½". In addition, several limited-edition variants were produced: The "'Lightweight' E-Type" which was apparently intended as a sort of follow-up to the D-Type. Jaguar planned to produce 18 units but ultimately only a dozen were reportedly built. Of those, one is known to have been destroyed and two others have been converted to coupé form. These are exceedingly rare and sought after by collectors. The "Low Drag Coupé" was a one-off technical exercise which was ultimately sold to a Jaguar racing driver. It is presently believed to be part of the private collection of the current Viscount Cowdray. An original E-Type hard top is very rare, and finding one intact with all the chrome, not to mention original paint in decent condition, is rather difficult. For those who want a hardtop and aren't fussy over whether or not it is an original from Jaguar, several third parties have recreated the hardtop to almost exact specifications. The cost ranges anywhere from double to triple the cost of a canvas/vinyl soft top. Less widely known, right at the end of Series 1 production and prior to the transitional "Series 1½" referred to below, a very small number of Series 1 cars were produced with open headlights. Production dates on these machines vary but in right hand drive form production has been verified as late as March 1968. 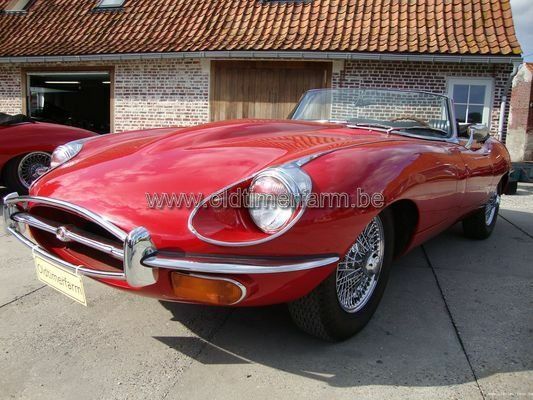 The low number of these cars produced make them amongst the rarest of all production E Types. Specifications. Body : length/width/height/wheelbase – cm (in) : 445/163/122/244 (175.2/64.3/48/2516); weight : 1140 kg (2516 lb). Engine : front-mounted 6 cylinder-in-line 4235 cc, 3 carbs, 3 speed, automatic, rear-wheel drive. Maximum power : 228 bhp @ 5400 rpm. Top speed : 236 km/h (147 mph); 0-60 mph in 7.3 sec.